Pinky and Rex Love to Read! 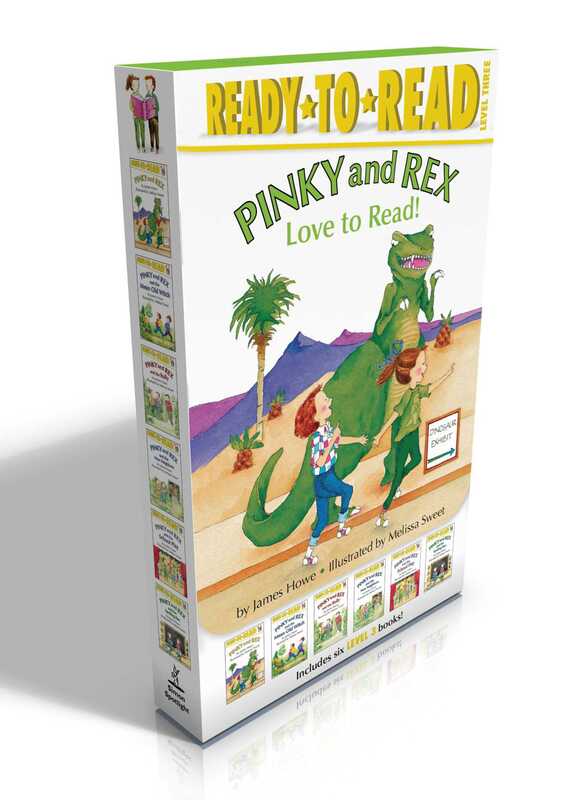 Join best friends Pinky and Rex on their many adventures with this carry-along Ready-to-Read boxed set featuring six of your favorite Pinky & Rex Level 3 Ready-to-Read stories—perfect to take on the go. Pinky and Rex are the best of friends! Now you can take their friendship on the go with six Pinky and Rex Ready-to-Reads in one beautiful boxed set that comes with a carry-along handle. A must-have for any young reader, this wonderful boxed set includes Pinky and Rex, Pinky and Rex and the Bully, Pinky and Rex and the New Neighbors, Pinky and Rex and the School Play, Pinky and Rex and the Mean Old Witch, and Pinky and Rex and the Spelling Bee. Book Cover Image (jpg): Pinky and Rex Love to Read!